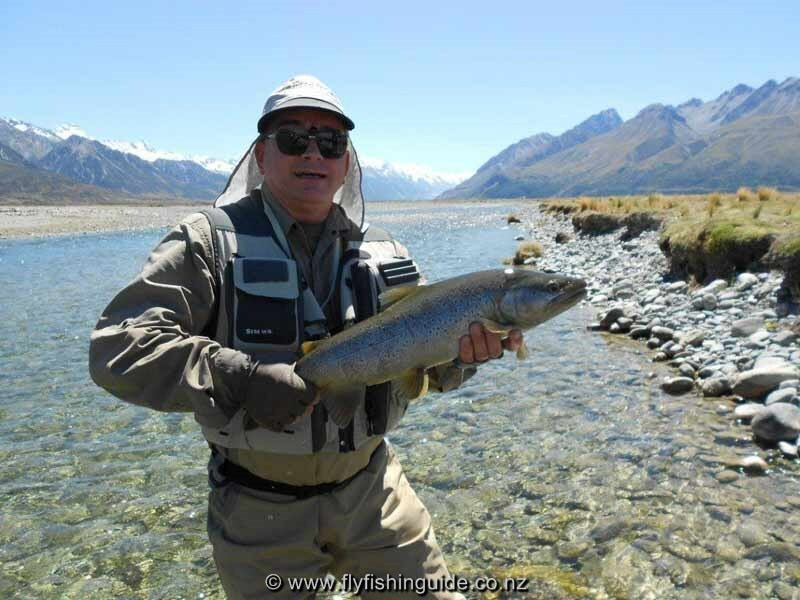 Jacques, back after a 10 year absence, with friend Claude were our guests recently for a 10 day fishing stint. Weather conditions were changeable with only 2 "sublime" days, 1 good day and the rest cloudy and windy. Claude informed me upon arrival that he preferred dry fly fishing which is what he is more used to back home. Of course relying solely on rising fish in this part of the world can be fickle so by the end of his stay Claude had become a converted nymphomaniac! Jacques has recently retreated from his business in the Parisien region to retire to his native Auvergne, a very pretty part of France. The trout were cooperative most days, responding to a carefully presented dry or nymph. As usual, a drag free drift was essential for success. The last fish of their stay belonged to Jacques. 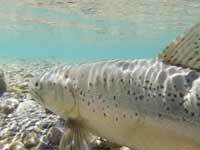 Claude had unluckily hooked up on a bush attempting a trout hard against the bank only a few metres upstream. 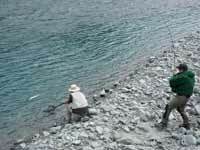 Retrieval of the fly would have meant spooking the fish. 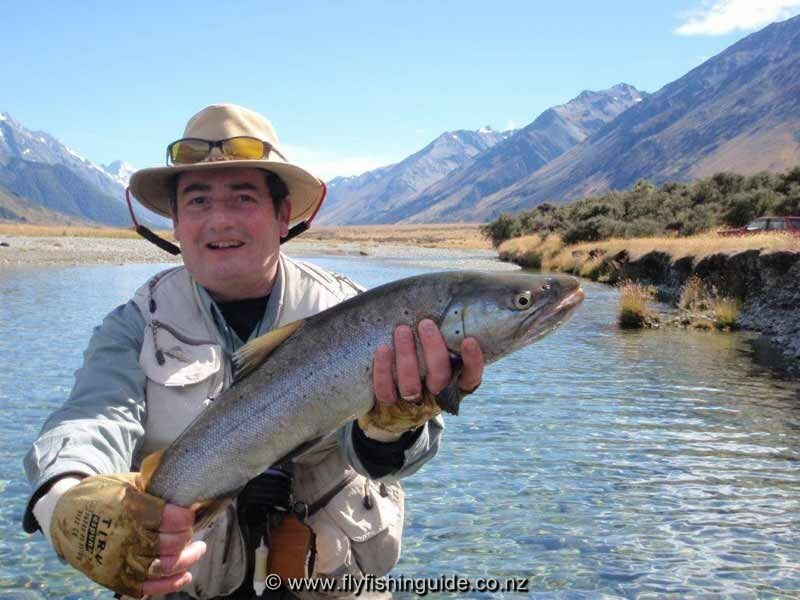 Jacques was directly opposite on the far side of the river and after being informed of the trout's location obliged with a pin point blind cast which pitched the nymph only centimetres in front of the trout's snout. 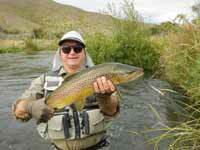 Thankfully, the big brown grabbed it just before the drag set in and was duly landed. Not very orthodox maybe but they all count and a great way to finish! Claude with a beauty. 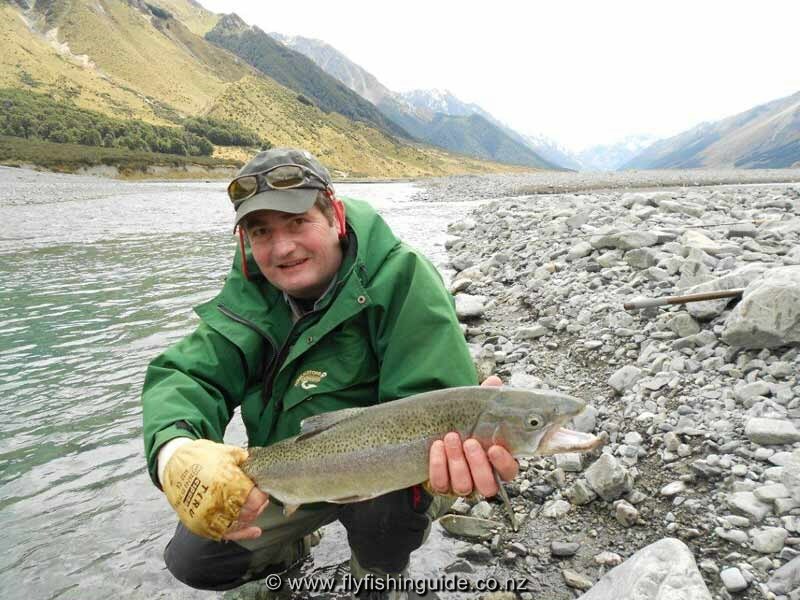 Great spotting conditions resulted in this fish. It's a team effort! Jacques in a magnificent setting. 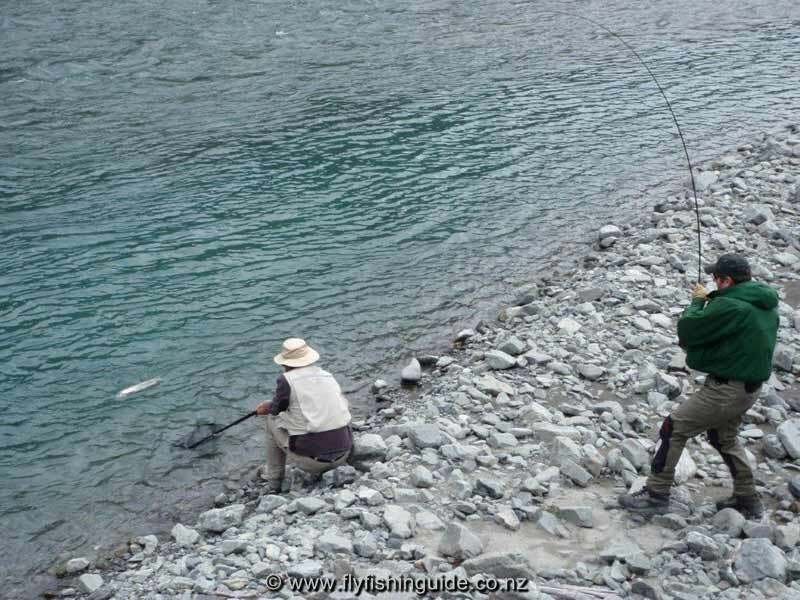 NZ fly fishing at it's best. On his way back home.